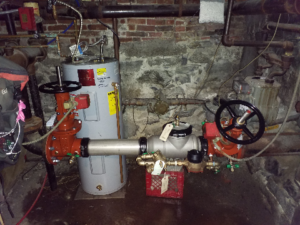 Certified Backflow Services - New England Backflow Inc.
New England Backflow, Inc. is a company committed to offering you a full range of services from testing backflow preventers to running a complete cross-connection control program. All makes sizes and locations throughout New Hampshire, Maine, Massachusetts and Vermont. Our testers are certified through New England Water Works Association which is accepted by NH, MA and communities in Vermont and Maine. New England Backflow can develop installation standards and review plans of new construction for proper backflow preventers all according to nationally accepted standards. New England Backflow will develop necessary letters to remind customers when it is time to test their backflow preventers or get them repaired if the test indicates the device does not pass its scheduled test. State reporting is also important. 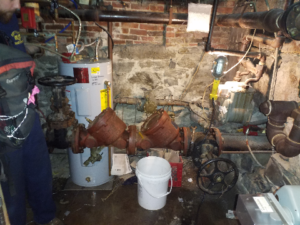 New England Backflow can arrange to develop all necessary year-end reports for the water supplier to be in compliance with state regulations and laws. We believe that you will be pleased with the services we can offer to keep your water system or plant in compliance with state and local standards.